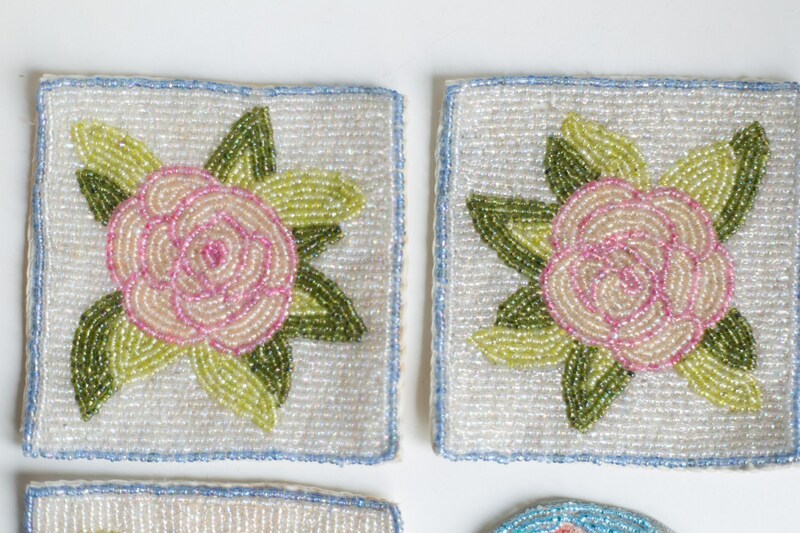 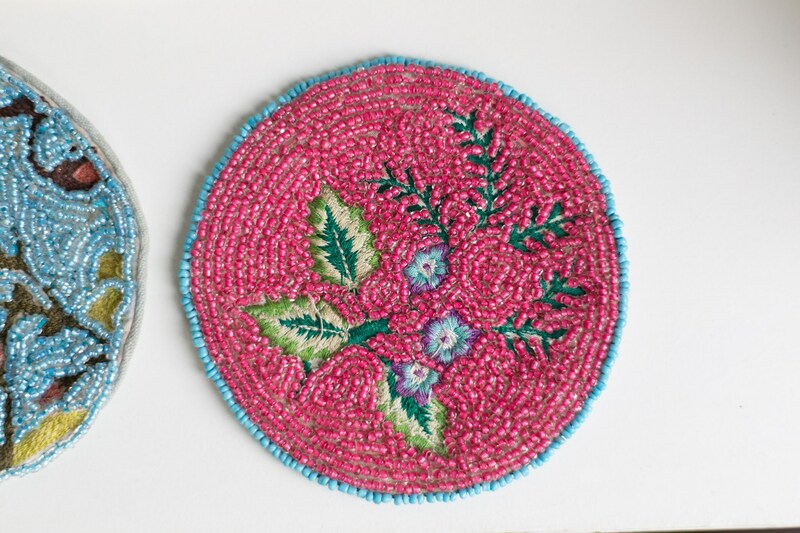 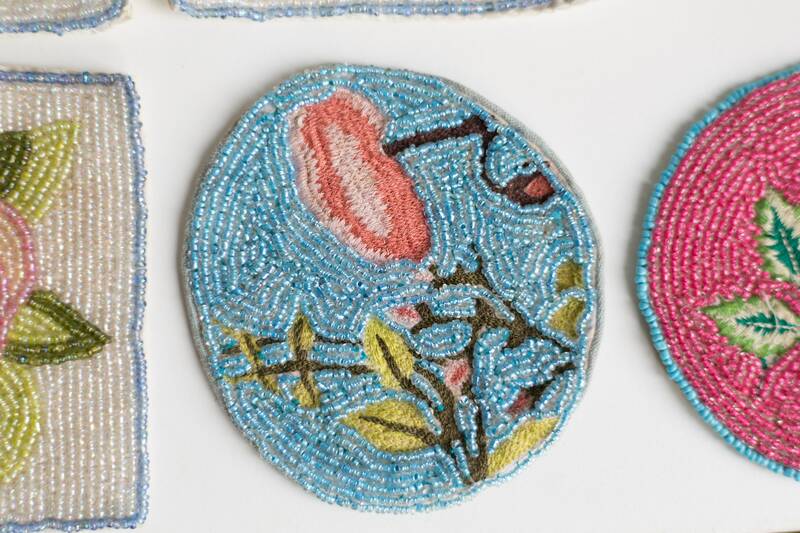 These are beautiful, high quality vintage hand-beaded floral patchworks. 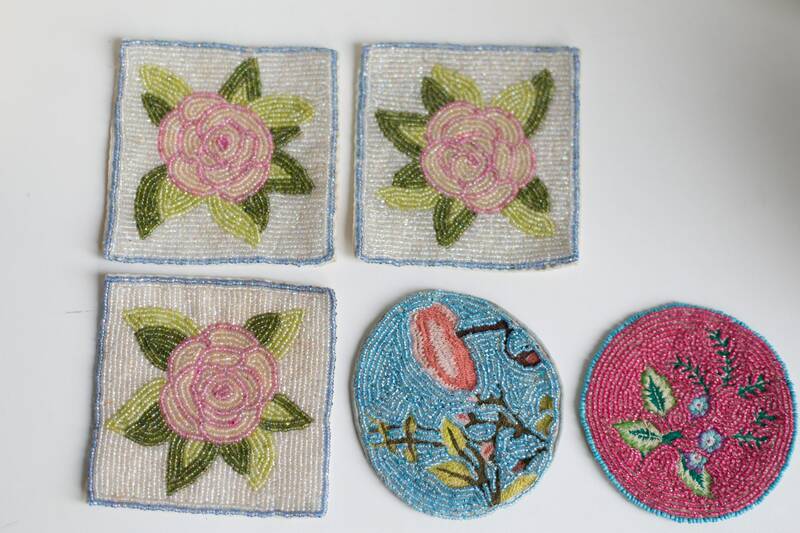 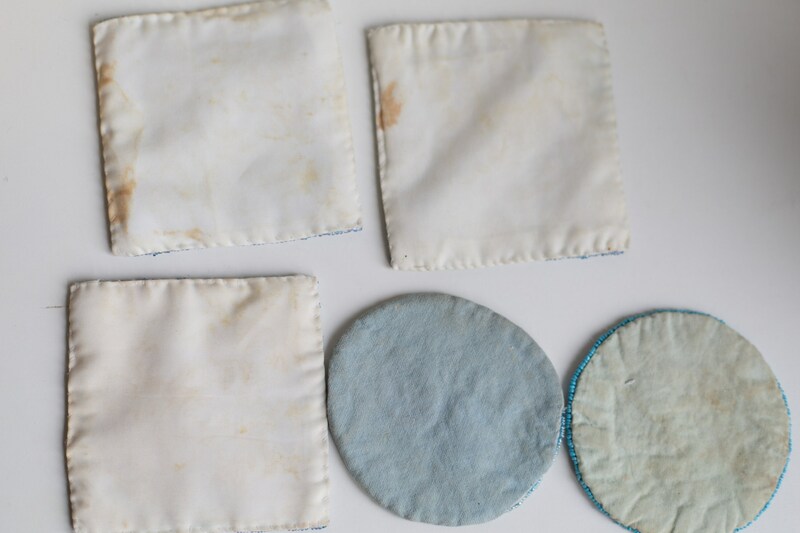 There are 5 patches in total. 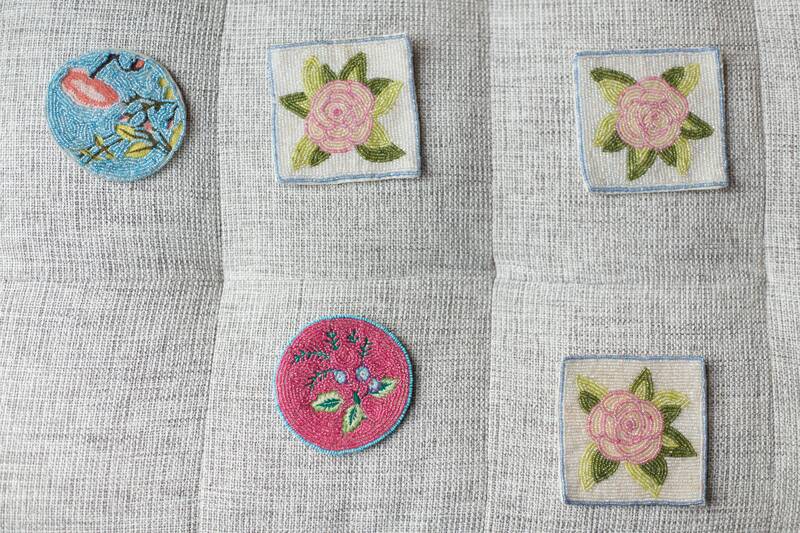 Listing is for all 5. 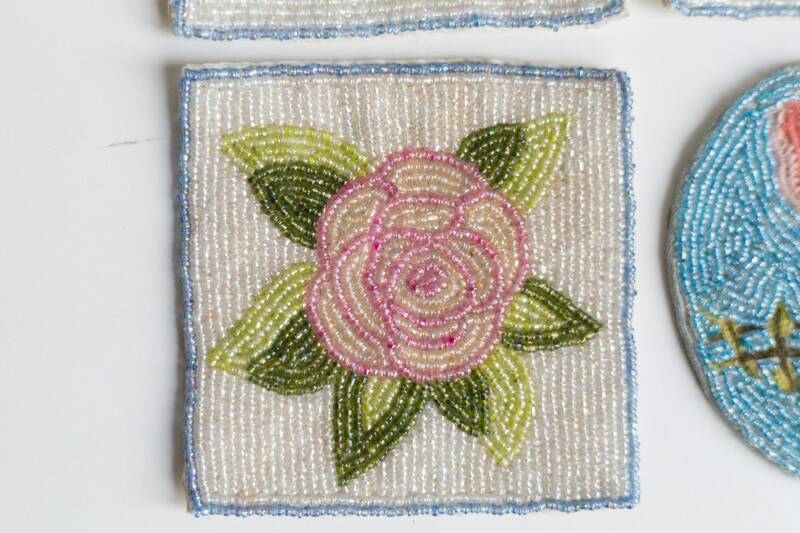 Round beadwork: 4 inches diameter.